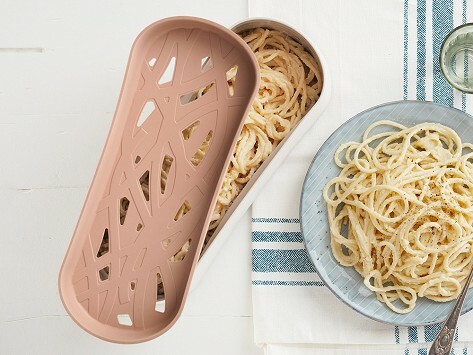 Cook and strain pasta all-in-one with the Pasta Cooker from Lékué. 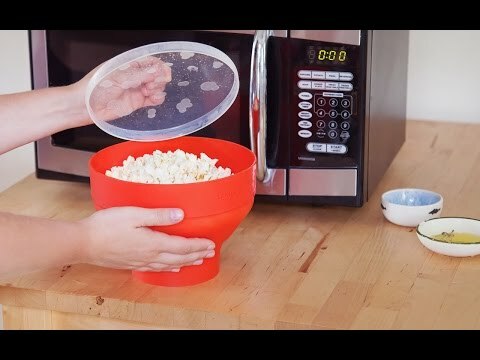 Add water (no need to boil it first) and any type of pasta, then pop in the microwave and cook for the same amount of time as you would on the stovetop. Dimensions: 11" x 4.3" x 4.4"